If done correctly properties can actually do the work required to create financial freedom for you, with little financial input from yourself. 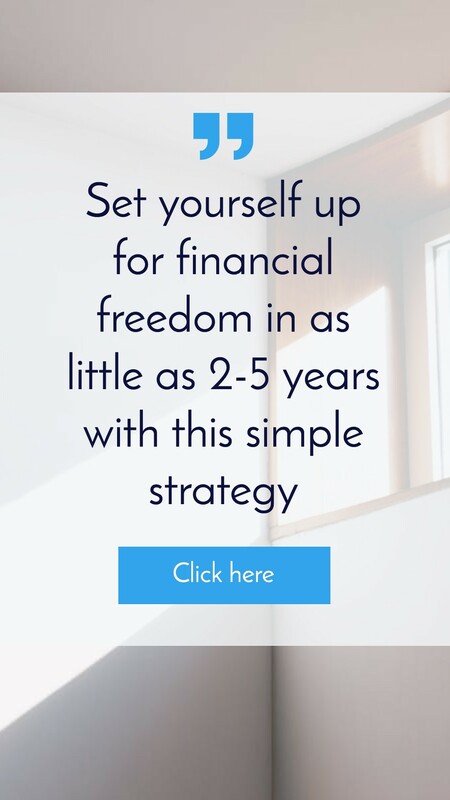 This is a powerful concept and makes achieving financial freedom seem a hell of a lot easier. 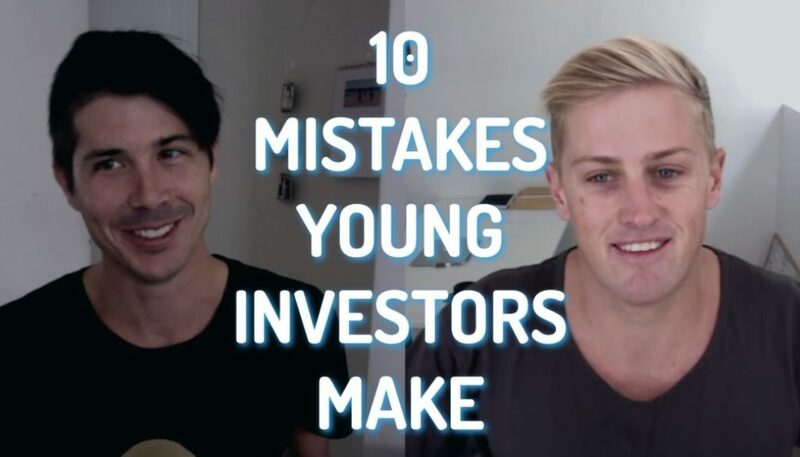 Tonight, I want to share with you a really important concept which may change the way that you look at property investing and achieving financial freedom. Now, that is a huge statement to make at the very start of an episode, but I really do believe that this concept is so powerful that it just makes financial freedom seems so much easier than what you may think it is high on Ryan from on-property dot com dot EU. 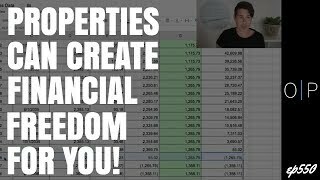 I help people achieve financial freedom and today we’re talking about the concept that properties, if invested correctly, will actually go on and do the work to create financial freedom for you. So you purchased the properties, you acquire them, you rent them out, and then they pay themselves off and eventually there’ll be completely paid off. You can then take the rental income and live off it and you’ll be financially free. So rather than paying down the debt yourself, those properties are working hard to pay themselves off. And eventually we’ll go on to deliver you financial freedom. So in this episode we’re going to get into the nitty gritty. We’re going to look at some numbers with this. 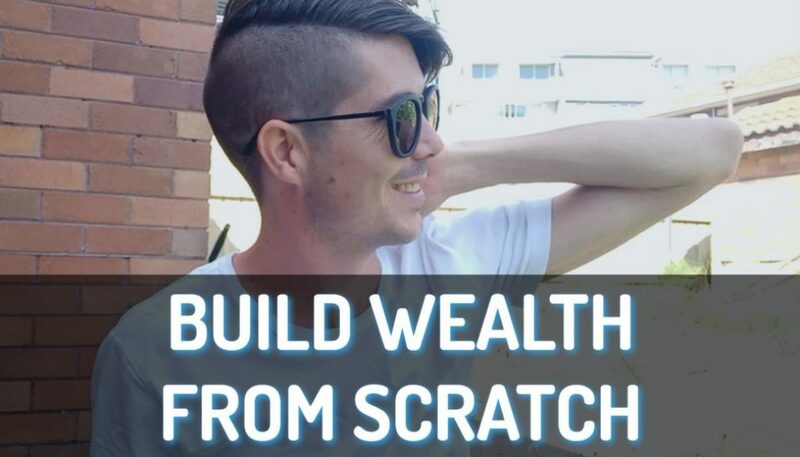 So you can see it in action and then hopefully this is just going to flick a switch in your mind that you realize, oh, just acquiring these properties as the hard work and then the properties do most of the work towards achieving financial freedom for you. So we’ll jump into the data here and we’re going to be looking at the details around the two properties to financial freedom strategy. So if you haven’t checked that out yet, you should check that out. That’s an on-property dot condo. You forward slash fibo eight we go into in complete detail. But if you haven’t seen it, the basic strategy is you purchase a house for around 400,000 and you build a granny flat which cost around 110,000. So total cost is $510,000. You then rent the house for about 4:20 per week. 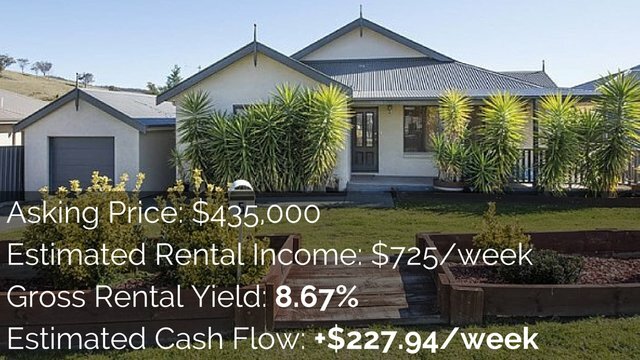 You rent the granny flat for about two 80 per week. So you’ve got about $700 per week coming in. That’s the basic strategy. You just do that twice by a house, build a granny flat, buy a house, build a granny flat, so you don’t actually need to watch that video, but I do suggest you watch it at on-property dot com dot EU four slash five slash eight, or in the links down below if you haven’t already, because we just talked through it in more detail. So I’m going to assume a 20 percent deposit in this, which means we’re going to be very close to cashflow neutral if not cashflow positive in the first year when we start. If you use a lower deposit, you may start negatively geared and you need to work yourself out of that. Um, but yeah, it using a 20 percent deposit which should be cashflow neutral from day one. So let’s look at some of the data here in the rental income. This is not the most accurate way to predict the cashflow of the property, but it’s all right and it’s going to be good for what we’re looking at today to just explore this concept in a bit more detail. And that’s the idea that 20 percent of our rental income is going to go on expenses. So that’s things like manager fees, counsel rates, insurances, all of that sort of stuff. So we’ll take the rental income, which as we can see over here is $700 per week and then we’ll take away 20 percent of that. And so here in this column is our rental income after expenses. So for that first year we’re looking at about $560 rent leftover after our expenses. And we’re going to use that money to pay off our loan first. And then anything left over, we could either take that, put it in our pocket or we could go ahead and spend it. So if we jump over to the loan, we can see that the weekly payment for our loan is $550 per week. So after the 20 percent of expenses, we’ve got five slash 60 left, then we’ve got our loan of 5:50. And so, you know, give or take $10 there. So we’re looking like we’re in a positive cashflow position. So what have we done so far? We’ve worked hard, we’ve saved a deposit, we’ve then gone out and purchased this property for $400,000 and rented it for, for 20 per week. We’ve also gone out and build a granny flat for 110,000 and rented that for two 80 per week. So that’s what we’ve done. And now we’re going to project into the future and watch how this property is going to pay itself off. So in this sheet here, I’ve got all the years from year one down to year 25 and what we’re going to look at is the rental growth on each of those years. So I put it at two point five percent, uh, which I think is quite conservative, but that band from pumped on property recommended, I said at two point five percent, which is kind of in line with inflation. And so basically what we’re looking at each year rents go up over time due to inflation. Ideally you pick in a good area that area grows and you outperform this two and a half percent. But obviously every property is going to be different, so two and a half percent means that each year our rent is gonna go up. So your number one, we’re getting $700 per week. You number two slash seven slash 17, you number three, 7:35 before 7:53. And as you can see over time we go up to a year 25, we’re getting $1,266 per week instead of the $700 per week that we started with. So overtime rents go up, you’re getting more rental income, which is giving you more money to pay off the loan. So what I’ve done here is I’ve looked after our 20 percent of expenses. So year number one, we’ve got five 60 per week. And so I just put that basically in line with our mortgage, which as we saw was 5:50 per week. So in the first year we’re not making any extra monthly repayments. And then in the second year, our rents go up after our 20 percent of expenses, we’ve got an extra $14 per week or about $60 per month to pay off our loan. So we’re going to jump over to the loan page now and have a look at how this affects the way the property is paid off. So remember, weep. We saved our deposit, we purchase properties. This is positively geared. We’re not putting extra money into this every single week. This property is paying for itself. Okay, so you purchased this property, it’s sitting there, you’ve got a rental manager doing the bulk of the work for you. Sure. You got to do tax, sure there’ll be issues that come up from time to time. But basically the property, this is all self contained within the property. So you’re not taking any income from your job or anything like that unless you want to accelerate it. Which is a topic for another video. So this is looking at monthly repayments. It’s looking at our payment amount for the month, the amount of interest that was paid, the principle that was paid, and our balance that’s left. So we see for the first year or the first 12 months here, we’ve got no additional principle being paid off. Uh, but over time our balance over that first year drops from 408,000 down to $399,000 in the next year. The second year we’ve got that $60 a month extra that we can put on that loan because we’ve increased our rental income and so we’ve got extra money to play with to pay off our debt faster. Then we’re going to you three and we’ve got $122 per week per month to pay off extra of our loans. That’s here. One hundred $22. And then year four we got $186. You five, we’ve got $251. And so each year as the rents go up, we’re getting more and more extra money to accelerate paying off our property faster. Now, these are all imaginary numbers. This shouldn’t be considered financial advice, obviously there’s so many factors that this doesn’t take into account, so definitely don’t take this as personal financial advice. This is just a mental exercise and an example, and so basically over time, as the years go on, we get more and more money each month that we can use to pay off our debt faster and faster till we get to the point where we’re paying an extra 1000, $200 per month of our debt and our debt is completely paid off in month 216. So how many years is that to 16 divided by 12. That’s going to mean we paid off in about 18 years. So basically what, what have we done here? What since buying the property, what have we done to actually pay off this debt? Like what money have we put into an extra to pay off this debt for this property? None, right? The property is paying for itself. Each year you’re getting more and more rental income, which means it’s getting easier and easier to pay off the loan on the property. And so that’s. That’s the example here is that each year as the rental income goes up and we’ve got more and more each month to pay down the debt, it gets easier and easier to pay off the loan. So we said year 18, the property would be completely paid off if all goes to plan. So that means in year 19 we can then take that money and put it into our pocket. So year 19, uh, after our 20 percent of expenses, we’re looking at about $873 per week that we can go ahead and put into our pocket. So 817 times by 52, that’s going to give us about $42,000 per year. That’s for one property with one grantee flat, $42,000 per year. Now obviously there’s inflation, so that’s not worth as much as it’s worth today, but let’s go ahead and let’s do two properties instead of the one property. Now we’re looking at about $85,000. Let’s say we go ahead and we put those four foundational properties instead of just one. Then we are looking at a whopping $170,000. Now obviously you’ve got inflation, but even still a hundred and $70,000 per year, definitely nothing to be scoffed at, and again, the big idea here is that you purchased the property cash flow neutral from the beginning. That property is then self contained and goes ahead to pay itself off over time, eventually completely paying itself off, and then the money’s got nowhere to go but into your back pocket. And so this property, once purchase has gone on to create financial freedom for you. And so that’s the concept that I wanted to share in today’s episode. It’s a very, very simple concept. The concept that once you purchased the right property, you buy something that is high quality, that’s in a good area that’s going to grow and be in constant demand into the future. You buy high quality properties, you build a granny flat on him or you just purchase a positive cashflow property from the get go and then those properties go on to pay themselves off and eventually give you financial freedom. 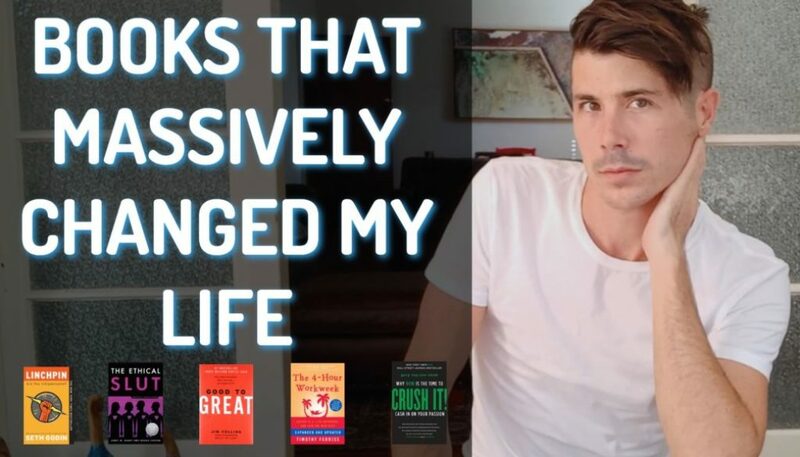 So that’s a really exciting concept that I wanted to share with you today. I hope that it gets through to you. I hope that you understand this. I hope that you’re as excited about this concept as I am because it means that the bulk of the work is done in the beginning, acquiring the right properties. If you can just acquire the right properties and then obviously they need to be managed, things are gonna happen. It’s not gonna. Be as straightforward as they just magically do it. There’s going to be some work involved to keep these properties going. Maintenance, maybe you want to do some renovation down the track. It’s not going to be completely passive, but the fact that it’s going to go on and then deliver you that passive income in the future and the bulk of the money to pay off the mortgage all comes from the property itself, not from your back pocket, I think is extremely exciting. So if you liked this episode, please give it a thumbs up. Also, don’t forget to subscribe as new episodes coming out every week, day, and if you haven’t checked it out yet, go ahead and check out the two properties to financial freedom strategy. Where me and Ben Everingham talk about this in way more detail. Go to on-property dot com dot a u four slash five slash eight to check out that episode. Or I’ll leave the link in the description down below and until next time, stay positive. 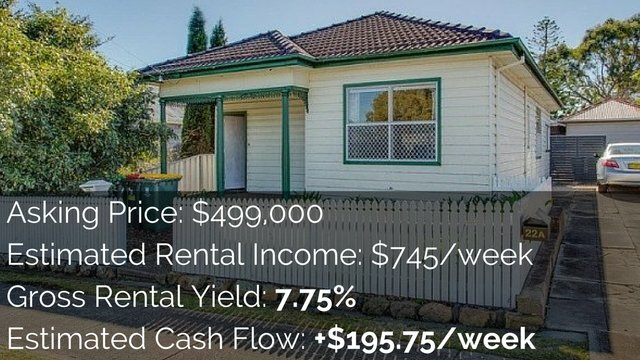 The Granny Flat Building Process Explained	What is Cash-on-Cash Return in Property Investing?